Through enjoying the services provided by wowbobblehead, you will be engaged to this conditions of use and other relevant policies, conditions and rules. If you disagree with any item of this policy, you can refuse to visit our website. When you visit wowbobblehead or send an email to us, you are communicating with us in electronic way, which means that you agree to accept our electronic messages. We will contact you by email or issuing notice on wowbobblehead According with legal requirements on these communication to be written. 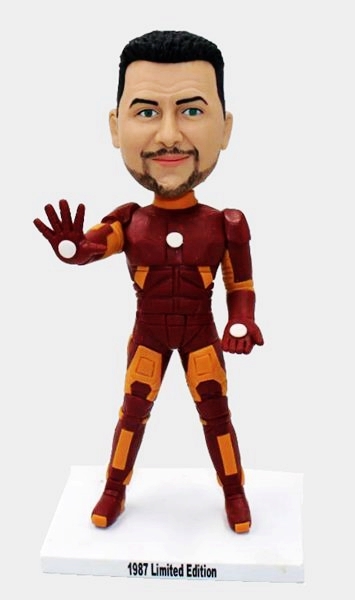 If Wowbobblehead can prove that it has sent you the electronic messages or issued the notice on the website, that would be regarded as you have received all the agreement, declaration, proclamation and other information. All the information posted on Wowbobblehead such as statement, diagram, sign, button icon, image, audio document segments, digital download, data edit and software belong to the property of Wowbobblehead or its affiliated companies or resource suppliers, under the protection of Chinese and International Copyright Law. All the software employed by Wowbobblehead belong to the property of Wowbobblehead Inc. or its affiliated companies or resource suppliers, under the protection of Chinese and International Copyright Law. The icons, signs, page header, button icon, statement, service name on our website all belongs to the trade mark or upholster of Wowbobblehead and its affiliated companies. All these icons or upholsters ought not to be employed to any products or services unrelated to wowbobblehead and its affiliated companies in any manner of possibly misleading consumers or depreciating or defaming Wowbobblehead and its affiliated companies. All other trade marks showing on Wowbobblehead except the principal parts above belong to the respective properties of the owners, who may be or may not be related to Wowbobblehead or its affiliated companies or sponsored by Wowbobblehead or its affiliated companies. Without the written permission of Wowbobblehead or its trade mark owner, anything on Wowbobblehead should not be explained as anyone is granted with permission by connivance or other manners or justified to use any trade marks shown on our website. If you decide to use our website, you are responsible for keeping secrete of your account information and password and restricting the entry to your computer and you also approve to respond all the activities with your account and password. Wowbobblehead don’t sell products to children. If you still do not reach the age of 18, you are justified to decide by yourself to refuse services, close account, delete or edit content and cancel order on wowbobblehead and its affiliated companies only when you’re under the supervision of your parents or guardians and within the scope of relevant international laws. You also ward wowbobblehead and its affiliated companies and relicensed person the rights to use the name you provided along with these content, if they choose to do that. You declare and assure that you have the rights to control the posted content in other manner, its content is accurate, You declare and assure that you will compensate for the damage to Wowbobblehead and its affiliated companies brought by the content you provide. Wowbobblehead have rights (but not obligation) to censor and edit or delete any activities or content. We are not responsible for the submission of messages from you or any third parties.